"Don't just control the remote… #ControlTheCon!" 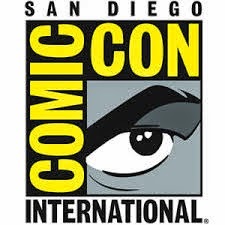 Spike TV announced today that it will once again give fans an inside look at the biggest event in pop culture and comics with “Comic-Con All Access.” This year, the show will be totally controlled by fans via social media. Using the hashtag #ControlTheCon, Spike will program all of its Comic-Con coverage catering to what fans request. Additionally, Spike will celebrate the industries “Game Changer of the Year,” as voted by the fans.– previous winners include Norman Reedus and Robert Kirkman. Famed comic artist Todd McFarlane has designed this year’s award. New York, NY and Los Angeles, CA – July 22, 2014 – Spike’s coverage kicks off on Saturday, July 26 with interstitials from the San Diego Convention Center leading up to an hour-long special which airs on Spike TV on Thursday, July 31 at 11:00p.m. ET/PT. “Comic-Con All Access” will feature a new team of correspondents including comedians and hosts Jeff Dye, Mark Ellis, Kristian Harloff and YouTube personality Akilah Hughes. The All Access hosts will be the conduit for fan questions for celebrity talent, booth visits, panel coverage and party access. During Comic-Con weekend July 26th and 27th Spike will unlock show content early based on fan response using #ControlTheCon.